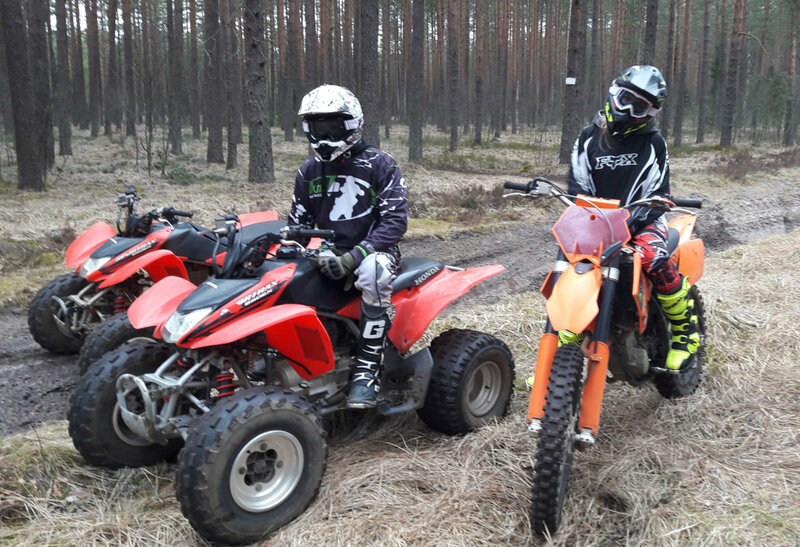 We have created an interesting track just 30 km from the Riga city, where you can relax, charge up and learn some new skills riding an ATV or dirtbike. KMH track is a great place to spend your time active with friends, colleagues and family. It is probably the best place for quadbiking and ATV safari in Latvia. We offer only high quality and time proved bikes such as Honda, KTM, Suzuki, Yamaha.